Oakland, Calif. has become the latest U.S. city to try to prevent circuses with elephants from performing. The Public Safety Committee proposed an ordinance to ban the use of bullhooks, sharp metal tools used to make the animals do tricks. Because bullhooks are considered "necessary" to control circus elephants, the measure would basically ban any circus with performing elephants from entering the city. A full council vote on the ordinance is scheduled for next week. The city would be following in the footsteps of Los Angeles, which finalized a bullhook ban in April. That ban won't go into effect until 2017. While bullhooks - long batons with pointed metal hooks attached - are approved by the USDA for use on elephants. But animal advocates say they are cruel and painful and can break the skin and cause psychological trauma. In fact, circuses, including Ringling Bros. and Barnum and Bailey Circus, often use a gray powder called "wonder dust" to cover up wounds made by bullhooks. Ringling Bros. has already said it will skip its tour dates in Oakland if the ordinance is passed, saying that it cannot safely present the elephants without bullhooks. 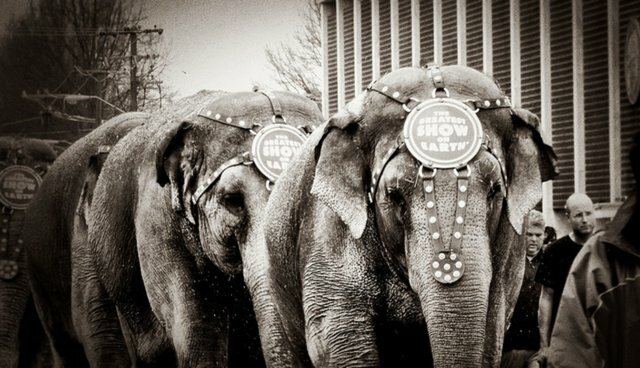 "I've seen too many moving visions of the treatment that these elephants are subjected [to] - most of them by circus. It is mind-boggling. And how anybody can suggest that would [be] acceptable or okay or trying to gloss over it doesn't pass muster in the world of reality...We shouldn't be teaching the young folks in our city that it's okay to harm animals for our enjoyment. That is just unacceptable."